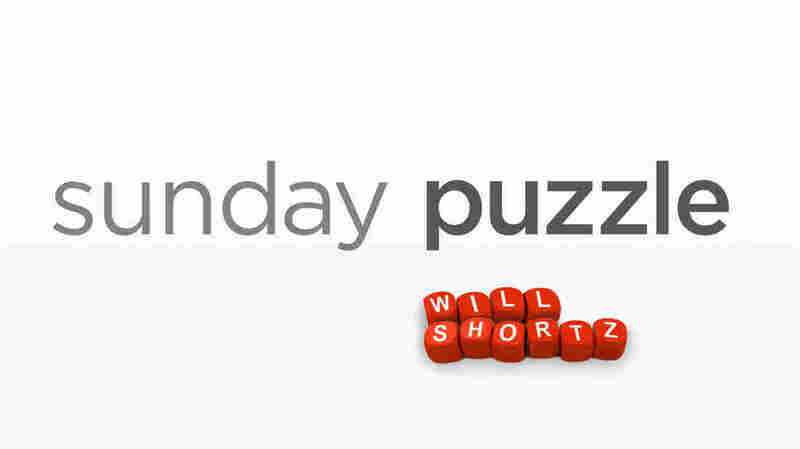 Sunday Puzzle: In This Game, A Chance To Claim Vic-tor-y NPR's Lulu Garcia-Navarro and Weekend Edition Puzzlemaster Will Shortz play a word game with KQED listener Tracy Starr of Oakland, Calif.
On-air challenge: Every answer is a word that has the accented syllable "tor" somewhere inside it. Last week's challenge: This challenge came from listener Roger Barkan of Savage, Md. I'm thinking of a well-known U.S. natural landmark. Take the two-word name of its location. Then change the first letter of the second word to the immediately previous letter of the alphabet, and you'll get another description of the landmark's location. What's the landmark, and what are the two descriptions of its location? Winner: Tracy Starr of Oakland, Calif. This week's challenge: This challenge comes from listener Alan Hochbaum, of Dunwoody, Ga. Name a popular restaurant chain in two words. Its letters can be rearranged to spell some things to eat and some things to drink. Both are plural words. What things are these, and what's the chain? If you know the answer to next week's challenge, submit it here. Listeners who submit correct answers win a chance to play the on-air puzzle. Important: Include a phone number where we can reach you by Thursday, March 7 at 3 p.m. ET.